South San Diego County is quickly becoming its own brewing destination! Installing on the same thoroughfare as Third Avenue Alehouse, newly opened Chula Vista Brewery, and incoming Th3e Punk Ales Brewing Company brewery & tasting room, Groundswell Brewing Company will soon open its third area tasting room at 258 Third Avenue in the heart of Chula Vista. Established in November 2013, Groundswell Brewing Company was started by owner Kevin Rhodes as a quaint Grantville-based brewery. Last year, Groundswell took big steps toward increasing its production. First, it hired talented veteran brewer Callaway Ryan, who previously brewed for Stone Brewing Co. and the now-defunct URBN St. Brewery. To make proper use of his talent, the company also acquired the 12,000 square-foot former Twisted Manzanita brewing & distilling facility at 10151 Prospect Avenue in Santee and moved the bulk of its operations there, growing from a 3.5 barrel brewing system to a 30 barrel brewery. Earlier this year, Groundswell also brought on additional brewing talent in the form of ex-Toolbox Brewing brewer Brent Donovan, who will focus on launching sour and barrel-aged beer programs. There are also plans to add distilling to the resume in the near future. 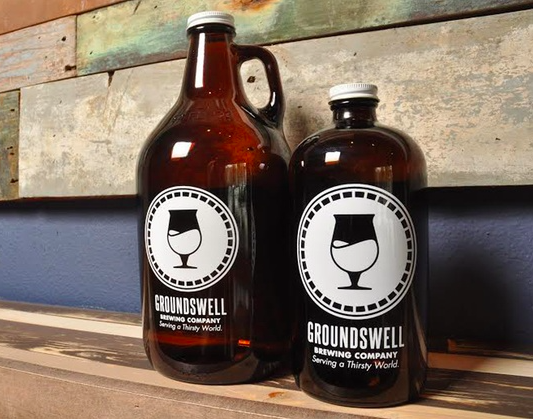 Now Groundswell is heading south to Chula Vista for its third area tasting room, installing on a prime stretch of Third Avenue next door to El Comal restaurant. The space will offer Groundswell beers on draft, available for onsite consumption in pints or flights, or for takeaway in growlers. There will also be merchandise available and food will be permitted to be brought in by customers. The tasting room aims to open by the end of the year. For more information on Groundswell Brewing Company, visit groundswellbrew.com.